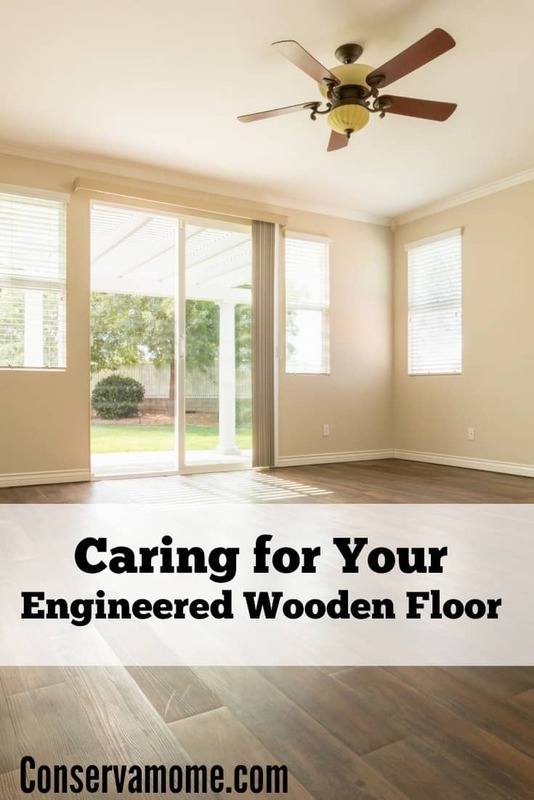 Having Engineered Wooden Floors is a perfect way to upgrade your home, find out some great tips for Caring for Your Engineered Wooden Floor. Engineered wooden flooring is popular because it’s durable, easy to look after and is great-looking. If you treat it properly, it’ll last for decades and still look as good as the day it arrived from Discount Flooring Depot. It’s also a great investment as good flooring will help to raise the selling price of your house if you decide to move. All wooden surfaces, even if they’re protected by varnishes or oils, need to be cleaned very regularly; daily if possible. If dust, dirt, sand or grit accumulate on the surface, they’ll act as abrasives underfoot, scuffing and dulling the finish. If water or other liquids are allowed to stay on the flooring for too long, they can stain and cause the wood to swell. If you’re about to lay down an engineered floor, then this guide will come in handy as it tells you how to care for it so that you get the best out of your investment for years to come. You might not have the time to damp-clean every day, but at the very least you should sweep up dust and other debris with a soft brush. You’ll also need a soft mop, which can be used wet or dry, depending on your needs. If you use a vacuum cleaner, then you should only use the hard floor setting as this keeps the bristles out of reach. When you use the mop damp, you should watch out for any remaining water and towel it dry to avoid any absorbing into the wood. This is the best time to use a specialist wood cleaning solution if you choose to, but only apply a very light layer. If you come across any persistent stains or grease spots, then you can use a more concentrated solution, but only with a soft cloth and make sure you rinse and dry immediately. You really must avoid ammonia and chlorine-based cleaners, as well as harsh detergents or biological laundry detergents. Whatever you do, don’t use rough scouring pads or steel wool. Steam cleaners, while ideal for tiles and vinyl, should never be used to clean engineered wooden floors because, essentially, you’re forcing boiling water into the wood fibres. When you buy engineered flooring, you can choose boards with a thicker top layer so that you can sand it down and refinish it when it looks worn. Alternatively, you can spend less on boards with a thinner top layer and replace it. If you opt for the thicker top layer (around 0.75”), you can potentially have it refinished several times, which may mean you will have it for several decades. Thinner layers (0.35”) may only let you refinish once – if at all – so you’ll have to replace it after 10 or so years. You also have to think about how much traffic the floors in your different rooms will get and adjust your cleaning and care accordingly. Your hallway, for example, will need a daily brushing, whereas the hallway outside the spare room can survive quite well with a weekly clean. So important!! I never knew most of this until I lived with a boyfriend that had one! I used Mr Clean and everyone panicked lol!! These are great tips for those who have or want to have engineered wooden floors. I do try to damp clean every day. I really liked the guide we have both engineered wood and laminate wood bought with our house and will deffinetly replace the laminate flooring. I’d love to tear out our carpet and put in this kind of flooring! I appreciate your guide to caring for wood floors. We just put down a good quality laminate and am so surprised as the reduction of dust in the house. Great stuff to know about engineered floor. It’s good for me to know when I’m ready to buy a house in the future. I like these tips. If I ever can afford a house I am definitely having wooden floors.